Indigo wins MuseWeb Foundation grant for Be Here: Baltimore Project! Indigo's location-based, storytelling tour, "Sounds of Baltimore: Eubie Blake's Ragtime Riffs" wins micro-grant for The MuseWeb Foundation's "Be Here: Baltimore" pilot project sponsored by izi.TRAVEL mobile app. This initiative enables greater participation in the narratives of Baltimore and make the city’s diverse voices more visible to local and global audiences in an effort to engage not only the cultural community, but also government and commercial partners with the belief that a thriving cultural sector is indispensable for prosperous businesses and economies. 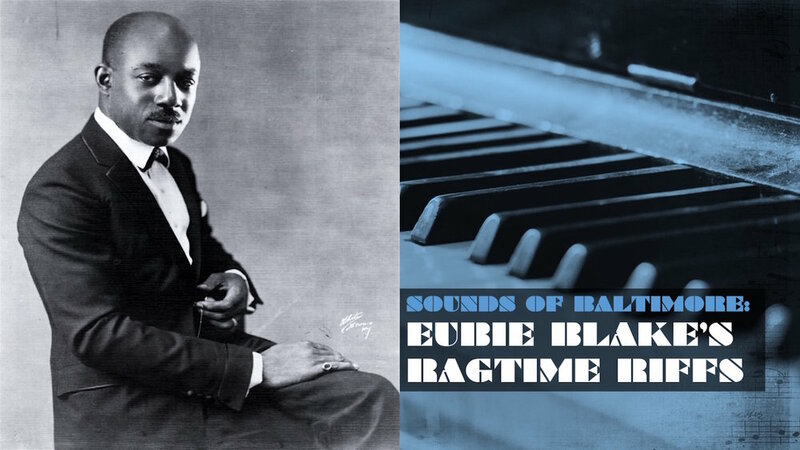 "SOUNDS OF BALTIMORE: EUBIE BLAKE'S RAGTIME RIFFS"
A location-based walking storytelling tour takes you on a stroll down the East Baltimore neighborhoods where ragtime pioneer Eubie Blake grew up and jumpstarted his musical career. You'll discover Blake's colorful past, cultural history and crossroads that shaped the elegance and sophistication of his early ragtime sound before the Broadway debut of his groundbreaking musical, "Shuffle Along" in 1921. A rewarding celebration of the cultural legacy of "America's Ragtime."